This project will be located in Colombia, with the aim of delving into the strategies for the reconstruction of the social fabric of a country that has been at war for six decades. The research aims to identify help in the sense of bringing to light collective musical programs carried out with the participation of people who have been victims of armed conflict. Specifically, the programme “Música para la reconciliación” (music for reconciliation) of the Fundación Nacional Batuta (National Batuta Foundation) which has been developed through private and public funds in 284 orchestral centers in different cities around the country, benefiting about 36,000 children and young people of which 28,780 have been victims of armed conflict. Through the life stories methodology I will be looking for positive transformations that these kinds of programs have generated in the daily lives of people who participate in them and the communities where they have been implemented. In this way, it will seek to give account to the contributions towards the reconstruction of the social fabric that this type of program can generate. It also will seek to strengthen the framework of the relationship between collective musical practice and peace building, which may be useful for cases like Colombia or other countries with similar conditions. To identify the contributions of program Música para la Reconciliación of the Fundación Nacional Batuta (Programme Music for the reconciliation of the National Batuta Foundation) of Colombia in rebuilding the social fabric of communities affected by the armed conflict in which it is implemented. To generate a theoretical framework for collective musical programs aimed at the reconstruction of the social fabric as part of the process of building peace in Colombia. As this research aims to account for the contribution of collective music programmes in the rebuilding of social structure, it will endeavour to present to the programme Música para la Reconciliación of the Fundación Nacional Batuta where the fieldwork was carried out an executive summary of the research findings. This presentation will be done in written form and in person, so as to allow space for a dialogue and for the questions that may arise from it. Moreover, the results will be presented to the communities that took part in the research in the fieldwork phase, generating a space for dialogue where people may formulate their questions and comments about the aforementioned report. Likewise, the executive summary will be delivered to the government institutions responsible for designing the social and cultural public measures concerning collective music programmes, namely: the Department for Social Prosperity, the Ministry of Culture and the programme Música para la convivencia. Finally, a meeting in the Colombia National University will be opened in the area of Peace Building, in order to share the findings with the academic community. Andrea is a social worker and musician. Her work focuses on peace building through popular education projects in Colombia. Currently she is a PhD candidate at the UNESCO Chair of Philosophy for Peace / Institute for Social Development (Universitat Jaume I, Castellon, Spain). 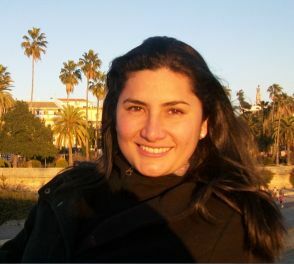 Her doctoral research explores the paths that music education offers to victims of the Colombian armed conflict to reconstruct both personal life and social relations. Ultimately, the purpose of Andrea’s research is to reinforce mutual understanding and confidence among Colombian civil society. • 2014 – 2017: PhD. Candidate – Peace, Conflict and Development Studies. UNESCO Chair of Philosophy for Peace / Institute for Social Development. Universitat Jaume I (Castellón, Spain). • 2011: University Diploma – Mental Health in violent contexts. Universidad Complutense de Madrid. • 2001 – 2007: BA – Social Work. Universidad Nacional de Colombia, Bogotá. • 1997 – 2001: Music – Violin. Universidad Segio Arboleda, Bogotá. 2014: Doctoral Fellowship. Banco Santander – Universitat Jaume I. 2013: Doctoral Fellowship. Banco Santander – Universitat Jaume I. 2012: Master Fellowship. Beca Generalitat Valenciana – Universitat Jaume I. 2012: Master Fellowship. Banco Santander – Universitat Jaume I. 2011: Master Fellowship. Banco Santander – Universitat Jaume I.